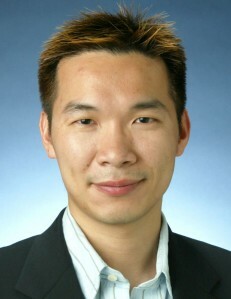 On behalf of the Chem Soc Rev Editorial Board, I am delighted to announce that Professor Xile Hu from the Ecole Polytechnique Fédérale de Lausanne (EPFL), Switzerland, has been chosen as the winner of the 2013 Chem Soc Rev Emerging Investigator Lectureship. This annual award recognises an emerging scientist who has made a significant contribution to their research field. The Editorial Board commended Professor Hu’s research in the field of catalysis, particularly his development of catalysts, composed of earth-abundant elements, which are used in sustainable chemical synthesis and for efficient chemical energy storage. With his research group, he has developed base metal catalysts for organic synthesis, bio-mimetic synthetic compounds for [Fe]-hydrogenase, and non-precious and scalable electrocatalysts for H2 production from water. Professor Hu will present his award lecture at an international conference later in the year– keep an eye on this blog for more details.